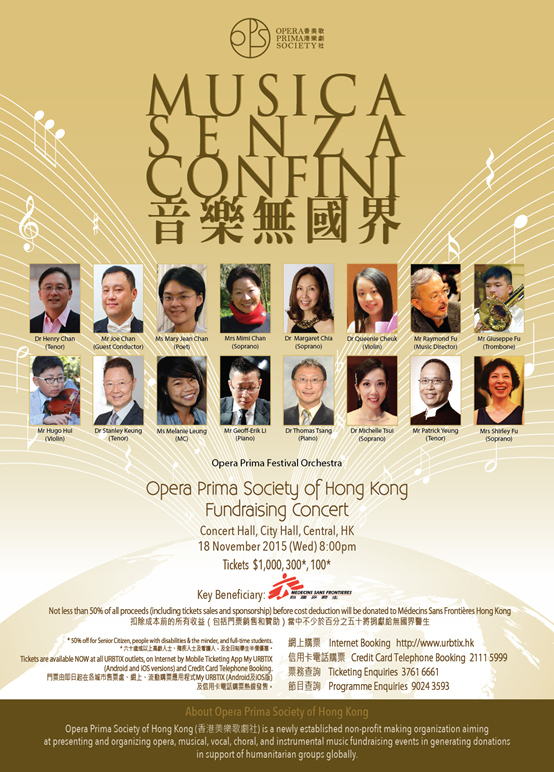 Opera Prima Society of Hong Kong (香港美樂歌劇社) is a newly established non-profit making organization aiming at presenting and organizing opera, musical, vocal, choral, and instrumental music fundraising events in generating donations in support of humanitarian groups globally. On 18 November, Opera Prima will launch their very first fundraising event, a concert benefiting Doctors Without Borders (MSF). So come join them for an evening of music and help raise funds for a very good cause. About MSF: Médecins Sans Frontières (MSF) – Hong Kong was established in 1994, and is now one of the 24 associations of the international movement. MSF has offices in Hong Kong, Beijing and Guangzhou, and are extending their work to some of the countries in southeast Asia. Because of the generosity of public support, the funds raised in Hong Kong and the region are an important support to their global relief work. The large majority of the money comes from individuals. MSF organises a variety of public events and experience sharings, and facilitate media interviews to raise awareness of humanitarian crises. MSF recruits field workers from Hong Kong and the region for their missions and provide professional training. They also support MSF field missions in the region, as well as responding to emergencies. A 7.8 magnitude quake struck an area of central Nepal between the capital, Kathmandu, and the city of Pokhara on Saturday morning. Although the extent of the damages is still unknown, initial reports say houses and buildings collapsed in Kathmandu and surrounding areas. Tremors were also strongly felt in northern India, in the states of Bihar and Uttar Pradesh. A second earthquake today hit Nepal, this time with an epicentre 80km east of Kathmandu, in Dolakha district. 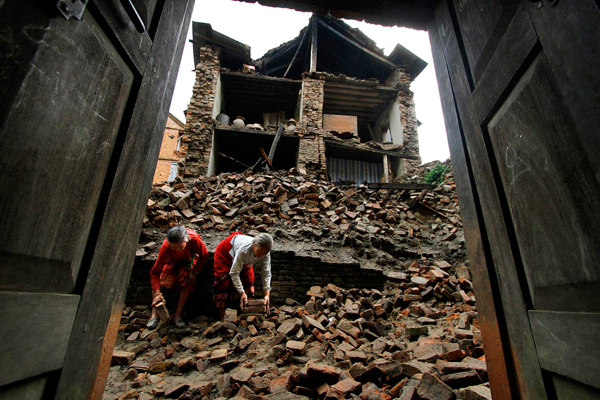 Teams from Médecins Sans Frontières (MSF) are conducting assessments in the affected areas, including Dolakha itself. In the Charikot area of Dolakha district they have seen villages destroyed by this second quake. An additional MSF team is conducting an assessment by car in Bhaktapur, east of Kathmandu, while other MSF medical teams have divided and are visiting various hospitals in Kathmandu ready to intervene immediately if necessary. This comes as the Nepali population struggles to recover from the loss of life and substantial damage that followed the earthquake of 25th April in which over 8,000 people died. “This complicates an already precarious situation. There is going to be more trouble accessing the affected areas. MSF is strengthening its emergency operations and re-assessing the needs of those affected by the current earthquake in order to respond accordingly and immediately,” says, Dan Sermand, MSF’s Country Director in Nepal. For the last two weeks, MSF teams have been providing medical assistance and distributing food and shelter to remote areas impacted by the previous earthquake. MSF has also set-up an inflatable hospital in Arughat in Gorkha district, which is running and serving the population affected by that previous disaster. To donate to MSF please follow this link. Hong Kong Red Cross has immediately mobilized HKD 500,000 to provide immediate relief and welcome donations from public to support the revealing humanitarian needs. – Emergency tracing service is offered to people in Hong Kong looking for their missing families in Nepal due to this disaster. Hong Kong Red Cross also is accepting donation designated to “Nepal Earthquake 2015” operation. Please visit their website for more information. 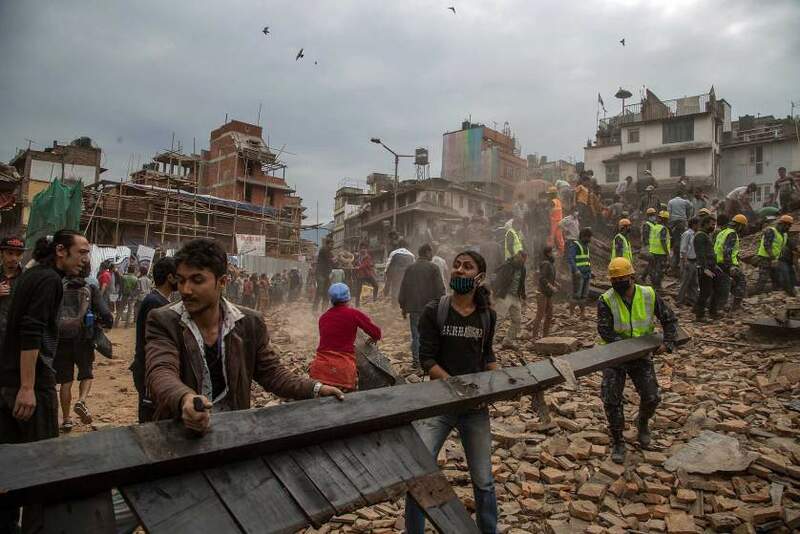 Oxfam’s team in Nepal is assessing humanitarian need following the devastating earthquake. In addition a team of technical experts are preparing to fly from the UK with supplies to provide clean water, sanitation and emergency food supplies. To make a donation to help with their immediate work in Nepal, please visit their website. UNICEF has teams on the ground in every affected district. Their focus is now on how children may have been impacted by this new earthquake. 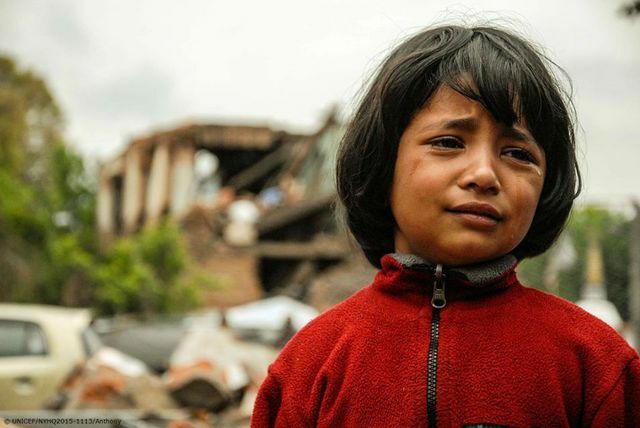 The quake follows the 25 April earthquake that left more than 8,000 dead, thousands more injured and 1.7 million children in urgent need of humanitarian assistance. 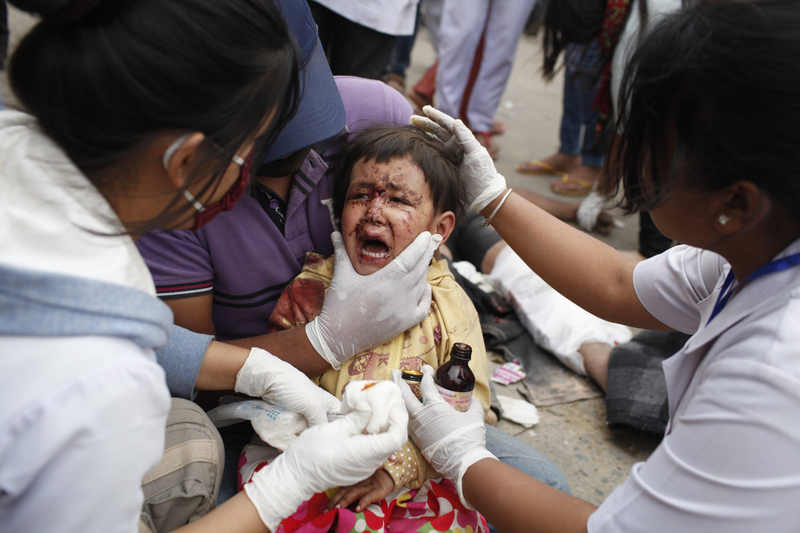 UNICEF has been working round the clock to get life-saving aid to children since the first quake hit. And your donations can help them deliver urgent essentials — like safe drinking water, adequate sanitation facilities, tents and medical supplies. With your support, UNICEF can provide vital counseling and child-friendly spaces to help children come to terms with their traumatic experiences. UNICEF will do everything possible to keep children safe. But with the massive damage, they urgently need your help. To make a donation to UNICEF to support their Nepal Earthquake Response, please follow this link. World Vision Hong Kong has initially contributed HK$1.56 million to provide help to the quake-stricken people. Together with other donations, it will bring help, such as hygiene kits and emergency aids to survivors, and set up Child Friendly Spaces to release the emotional distress of children; which is estimated to help 50,000 people. Their local staff are assessing the impact of the quake and are ready to respond to the needs of the affected. World Vision commits its full effort to help the affected children and families amid emergency to rebuild their homes. To donate to World Vision, please follow this link. This blog will be updated as and when more information regarding rescue efforts come in. Step Out! Experience the Life Saving Journey! This is the slogan for this year’s MSF Orienteering Competition 2013. The competition that allows participants to experience the challenges faced by MSF field workers when they walk thousands miles to provide medical aid to patients in the front line. In the past 11 years that the Competition has been staged, participants have raised over HK$24 million to support MSF’s worldwide medical humanitarian relief work. 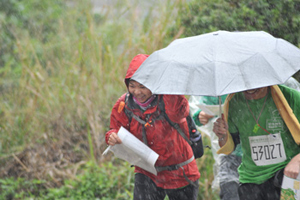 It has been the largest orienteering competition in Hong Kong for those 11 consecutive years. Your support to MSF is crucial in enabling them to respond to emergencies promptly and efficiently, while at the same time maintaining their independence, which is critical in gaining access to patients in war zones, volatile areas and some of the most inhospitable places in the world. 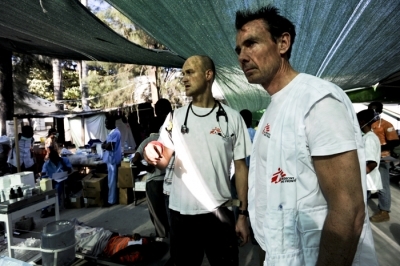 To continue MSF’s worldwide relief work, MSF calls for your participation in “MSF Orienteering Competition 2013”and experience MSF’s Life Saving Journey! Médecins Sans Frontières (MSF) is an international medical humanitarian aid organisation that is also private and not-for-profit. 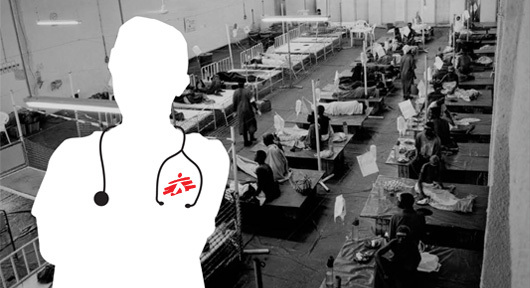 Founded by doctors and journalists in 1971, MSF is now a worldwide movement with sections in 19 countries and an international coordination office in Geneva, Switzerland. MSF currently works in around 70 countries. MSF’s core work is in providing emergency medical aid to people affected by armed conflict. MSF also offers medical care to marginalised people who find themselves excluded from healthcare, and to communities whose health systems may be overwhelmed due to epidemics or natural disasters. – Médecins Sans Frontières provides assistance to populations in distress, to victims of natural or man-made disasters and to victims of armed conflict. They do so irrespective of race, religion, creed or political convictions. – Médecins Sans Frontières observes neutrality and impartiality in the name of universal medical ethics and the right to humanitarian assistance and claims full and unhindered freedom in the exercise of its functions. – Members undertake to respect their professional code of ethics and to maintain complete independence from all political, economic, or religious powers. – As volunteers, members understand the risks and dangers of the missions they carry out and make no claim for themselves or their assigns for any form of compensation other than that which the association might be able to afford them. In January 2002, Médecins Sans Frontières (MSF) organised the first “MSF Orienteering Competition”. The competition allows participants to experience the challenges faced by MSF field workers when they walk thousands miles to provide medical aid to patients in the front line. In the past 10 years, participants have raised over HK$20 million to support MSF’s worldwide medical humanitarian relief work, which also makes the Competition become the largest orienteering competition in Hong Kong for ten consecutive years. Your support to MSF is crucial in enabling them to respond to emergencies promptly and efficiently, while maintaining independent, which is critical in gaining access to patients in war zones, volatile areas or some inhospitable places in the world. Come and join “MSF Orienteering Competition 2012” and be part of the life-saving effort. Médecins Sans Frontières is urgently looking for experienced logisticians to respond to the emergency arising from the crisis in Somalia. 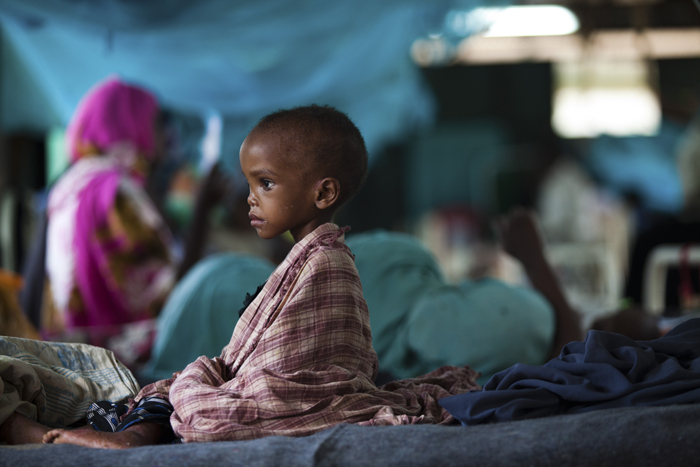 MSF urgently needs your help to support their current emergency relief work to assist the hundreds of thousands of Somali population affected by the ongoing crisis. The drought that hit this area, one of the worst in decades, compounded by historical high cereal prices and excessive livestock mortality, has further hardened the already dire situation in this country troubled by 20 years of internal fighting. Their teams are fully stretched in various locations inside Somalia, as well as assisting exhausted refugees crossing Somalia’s borders into Ethiopia and Kenya. Besides treating severely malnourished children, MSF is also conducting measles vaccination, treating cholera cases and performing surgeries. Volunteering: Each year, about 2,000 aid workers of all nationalities leave on MSF field missions to join around 23,000 staff in the countries of humanitarian assistance. Life on a mission is full of challenges, but also full of joy. MSF organises recruitment and information session on a regular basis. During the session, recently returned field workers give a presentation about their mission and share their experiences in the field with potential field workers. If you meet the requirements for the field position(s) and are interested in being one of the field workers, the sessions will give you better understanding of work in the field and help you prepare for your future mission.